As the holidays approach we all know it is “that time of year” to get the coats, hats and gloves ready. And while we prepare ourselves to compensate for the colder temperatures we must remember to prepare our vehicles for sub-freezing temperatures as well. Your safety on the road from December to February can be greatly increased with only a few steps. You don’t need a garage full of tools or grease under your fingernails to prepare your car for colder weather. Follow these simple tips to winterize your car for three months of warm and safe winter driving. Remember that time you were driving and couldn’t see through the salt, slush, and grime on your windshield? What saved you? Pressing the wiper fluid button. Too many people forget how important wiper fluid is for safe winter driving, so be sure your reservoir is full every two weeks. Checking your wipers is easy, too. Look for cracks in the rubber coating and make sure they glide easily over the glass with no hopping or bumping. If you need to replace them, simply remove the blade from the wiper arm and take it into an automotive store. 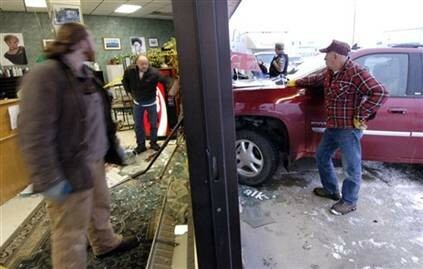 The clerk will find you a new set and you will be ready to wipe away anything winter throws at you. Although radiator fluid is important year-round to regulate engine temperature, the name “antifreeze” clearly signifies its importance in the winter. A 50/50 mix of water and antifreeze ensures your engine starts and runs smoothly in subzero temperatures. Every vehicle has an antifreeze reservoir in the engine. 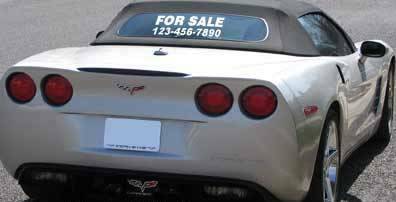 There will be a fill line for you to reference and your family mechanic will most likely check your antifreeze mixture for free. Your mechanic may also recommend a coolant flush to drain the old antifreeze, clean out the system and add a new mixture. Old coolant is full of dirt and rust particles that can damage your cooling system. Sleet, slush and ice are no match for a quality set of tires. Before winter starts be sure to check the tire pressure and tread depth to ensure optimal performance. Under-inflated or bald tires offer no help on slick and dangerous roads. Check the inside of your driver’s door or your owner’s manual for the correct tire pressure. You can find a tire gauge at any automotive store. The “penny test” is an easy way to check the tread. Place the penny upside down into several areas of the tread. If you see the top of Lincoln’s head, you need new tires. If you don’t, you should be good to go. Nobody expects his or her vehicle to break down, slide off the road or get in an accident. Things just happen. But when you find yourself on the side of the road with no warm vehicle to sit inside of, how do you protect yourself from the elements? 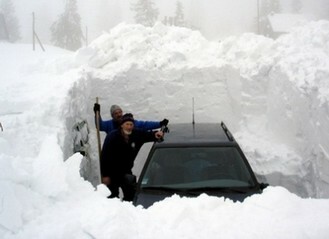 It’s always wise to prepare for the worst and a Winter Emergency Kit can easily fit in the corner of your trunk. Buy a plastic container with a lid and fill it with the following items: First Aid kit, blankets, gloves, hats, water, energy bars, a flashlight, reflective markers, matches, an ice scraper and jumper cables. 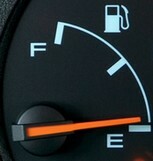 Nobody wants to run out of gas during the winter but the reason for keeping a half tank goes far beyond inconvenience. Shifting temperatures in the winter cause condensation to form on the walls of the gas tank that eventually drip down into the gas. And since water is heavier than gas it sinks to the bottom of your tank. The more water-to-gas ratio in your tank the higher chances you have of introducing water to your fuel lines, and if they reach 32° or below they will freeze and block your engine of the fuel it needs to start and run properly. By keeping at least half a tank you will always have a dominant gas-to-water condensation ratio. Fill your tank now and refill when you get to half a tank—it’s that easy. Doug Climenhaga is president of SVI International, Inc. (http://www.sviinternational.com/), a leading supplier of parts for industrial lift equipment. With more than 20 years experience in the hydraulic and automotive lift industries, he holds two patents and has designed scores of problem-solving products. It’s hard to believe that the holidays are just around the corner, and with that comes cold weather, and probably snow. Sure, if you live in a place like Cali or the sunshine state, you probably don’t have to worry about this, but for those of us in the north, central or eastern parts of the country, it’s inevitable. If you haven’t already done so, it’s time to winterize your car. 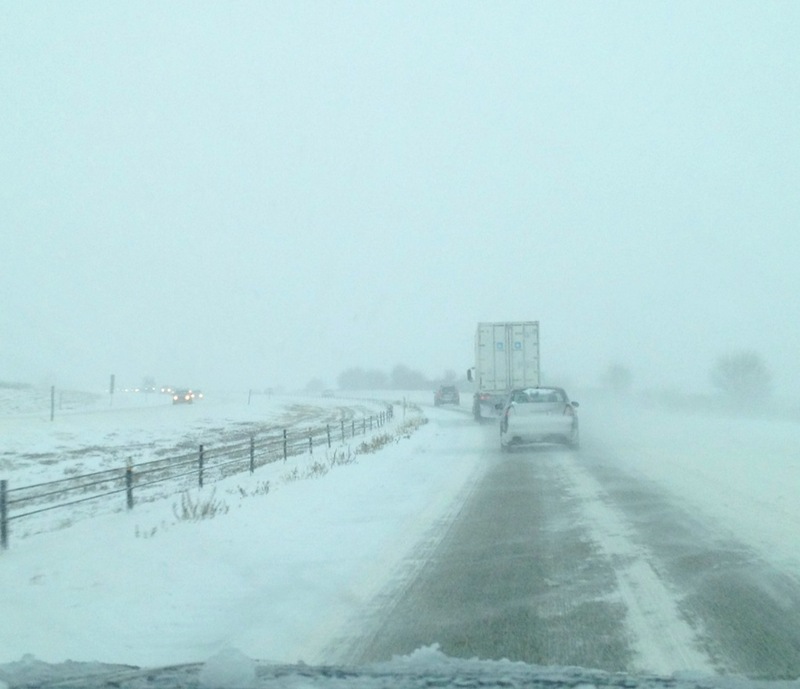 Well, at least if you want to [try to] avoid the hassles that accompany driving during the winter season. Tires. Check the tread depth of your tires. Summer driving tends to wear out the tread depth quicker than winter, and the last thing you want is to feel like you’re on a slip and slide during a snow fall. 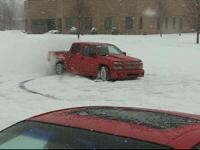 Furthermore, if your vehicle is equipped with low-profile tires, it’s time switch to either all-season or snow tires. They provide more traction and can be the distinguishing factor as to whether you’re smooth sailing over the river and through the woods, or stuck fish-tailing. Trust me, I can tell you from experience I’ve been there before and it’s a slippery slope— no pun intended. Wheel Alignment. Most of you probably know what it feels like when your wheels are misaligned– you loosen your grip on the steering wheel and the car drifts left or right, or if it’s really bad, you find yourself struggling to keep your vehicle on its intended path. Imagine this combined with slippery conditions— double-trouble. Avoid the headache and get your wheels properly aligned. Fluids. Time to check your fluid levels. If you drive an automatic transmission vehicle (like the vast majority of Americans), this is especially pertinent to you. Cold weather is harsher on your transmission, and besides, it’s suggested that you change the fluid and filters every 30,000 miles for optimal performance and protection. Also check your antifreeze, (aka coolant), which keeps the water in your radiator and engine from freezing in cold temperatures. Wiper Blades. No explanation necessary. Check your blades, and if necessary, replace them. They always seem to malfunction when it’s down-pouring, or worse, during a snowstorm. It’s also a good idea to check your windshield washer fluid at this time. As outside conditions worsen, and salt and dirty snow cover your windshield, you’ll need an abundance of fluid to keep it clean. Otherwise, you’ll find yourself with a frost-bitten face, as you hang your head out the window to see what’s ahead. Service. Do you have any “check” lights on that you’ve been procrastinating to investigate? Get your car serviced immediately. If you’re having car troubles now, you can be almost guaranteed that they’ll really surface with the drop in temperature. GAS. Keep your tank full (and no, I’m not talking about increasing your intake of beans, folks.) Should you follow steps 1-6 and your car still breaks down, you’ll thank me. If you’re stuck on the side of the road during inclement weather conditions, you’ll want to keep your car running for the heat. A couple of additional reminders to add– keep a snow brush and ice scraper on hand, and your cell phone (in case of emergencies, of course.) Though you can’t control the winter weather conditions, you can certainly do your best to prepare for them! As the cold season approaches, keep in mind there are some things to prioritize when it comes to your vehicle in order to prevent unwanted situations. First off, if you need to, get your car serviced! Have you seen some lit up “check” buttons you’ve been procrastinating to investigate? If it’s 75 degrees and sunny and your car breaks down, well so you get delayed a bit, but no big deal. However, as the snow begins to fall and temperatures drop you don’t want get stuck waiting outside as your toes get frost bitten, do you? Make sure to have the mechanic check your battery and belts. If you’re having any issues starting your car in warm weather, well you can be almost sure that there will come a time in the cold when your car won’t start. (Note: batteries lose power in the cold). It may not seem like a priority now, but when it’s 10 below zero and you have to jump your car, well, you’ll think twice about my advice. My suggestion- take care of it now. Number 2- check your antifreeze (or coolant). Do you know what antifreeze does anyway? (I know I was a little unsure, so I’ll let you know. AND if you know why you should do something, well it’s a bit more motivating to get it done, right?) Antifreeze inhibits your cooling system from corrosion, and also absorbs heat from the engine, dissipating it through the radiator, preventing your car from overheating. You really should drain and refill the coolant system to remove any dirt or rust, but if you don’t do that, at very least check the level. No coolant in your car will prevent your heat from working. AND make sure the antifreeze you put in has a 50/50 ratio, coolant to water, which equals a lower freezing point—important for those treacherous winter days. The next important thing to remember, though it gets more expensive every day, is to ALWAYS try to keep your gas tank full! First off, late at night when the temperature drops and the sun’s not out, do you really want to stand outside freezing as you fill your gas to get somewhere? And secondly, if by chance your car does break down, or you get stuck in a snowstorm, you’ll probably want to keep your car running for the heat. And um, well if you have no gas, well then you’ll remember the importance of why I told you to keep your tank full. Make sure to check your windshield wiper fluid. We’ve all been behind that big semi that drives through a puddle and slops that brown, slushy snow on our windshield. You’re frantically trying to spray fluid to clean it as you drive down the road. Don’t get stuck without out it, or you’ll be sticking your head out your window to be able to see. On that same token, make sure your front and rear defrosters work, or you’ll end up in the same bind. For those of us (like me) that are ridiculously stubborn and insist on driving their little rear-wheel drive sports cars in the treacherous weather, well I recommend snow tires and sand bags. (Trust me- I can vouch for the importance of these two things from personal experience.) Putting some extra weight in your trunk (sand bags or kitty litter work best) can keep your car from fish-tailing across the freeway. 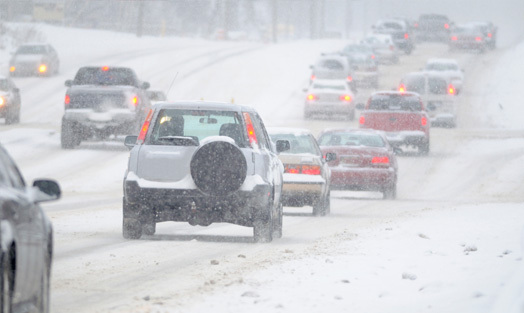 Snow tires are recommended for all vehicles, but especially smaller/lighter cars or those with rear-wheel drive. Although they don’t work miracles in a gigantic snowstorm, they will give you more traction. Keep some basic supplies in your car. I would recommend a snow brush and ice scraper. And maybe an extra thick pair of gloves if you forget either of the two. Also- don’t forget your cell phone! Although I wouldn’t recommend talking on it while driving—most police officers will slap you with a fine if caught, you should have it in the car (and fully charged). If you do get stuck, you don’t want to have to walk 5 miles to the nearest gas station. 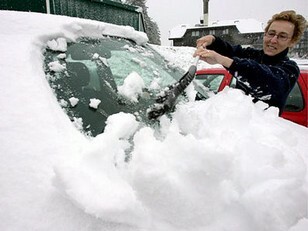 Before you get in your car, make sure you clear off any frost or snow- and I’m talking the entire vehicle. One, because most state laws require you to and you don’t want to get stuck with a fine; and two, well that snow on top of your car is very likely to slide onto your windshield once you start moving. And trust me (again from experience) you’ll end up sticking your arm out the window, trying to brush it off with hand while your driving. Most importantly, know your car! 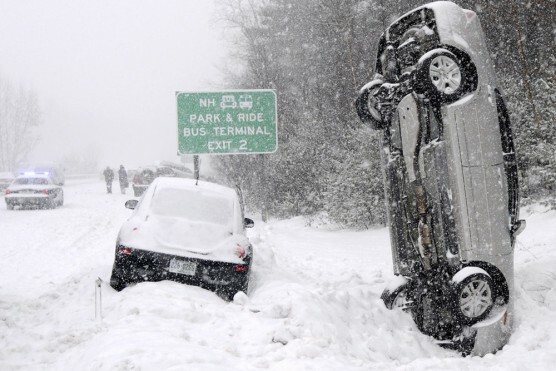 You should know how it handles in the snow (go do donuts in a parking lot… but make sure it’s empty first); if you have front, rear or four-wheel drive, if you’ve got antilock breaks and stability control. And remember, (and I’ll be the first to admit I have a lead foot), slow down in icy or snowy conditions. As well as you know your car, Mother Nature takes precedent here and you don’t want to end up in a ditch, or forced to decrease your savings to pay for a fender bender. Stay far enough behind other vehicles and be aware at all times- even if you’re being as careful as possible, it doesn’t mean other drivers are doing the same!